A foundation in southern Hatay province is helping Syrian children make friends and integrate into Turkish society through football. 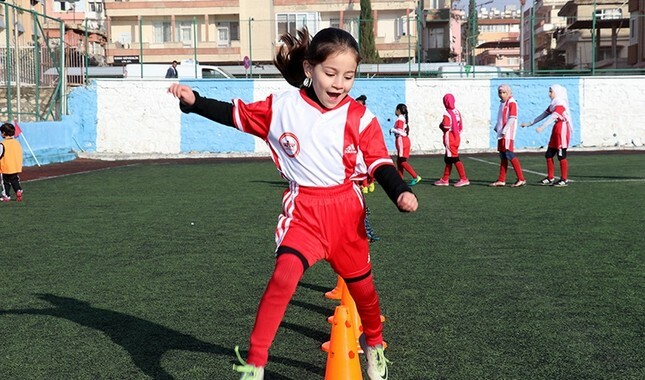 SAR Assistance Association based in Hatay’s Antakya district launched a project entitled “Encourage Dialogue and Social Cohesion via Football,” which aims to foster relationships between Turkish children and young Syrian refugees through football. “We created a friendship bridge between Turkish and Syrian children via sport. We are trying (to teach) children to love and respect each other and recognize their cultures. We do this through sports. In this way, children are having a good time while getting a chance to get to know each other better,” SAR Chairman Mohammad Kindawi told Anadolu Agency (AA), adding that sports also keep children away from detrimental activities. The project, supported by the German Development Agency (GİZ), has brought together 140 children – about 70 Syrian and 70 Turkish youth – between the ages of eight and 17 for the three-month program.